Research about how the brain functions and learns has increased exponentially over the past twenty years. This research shows that the brain is wired to make connections across disciplines and that the historic notion of separating academic disciplines into “right and left brain” fields should be challenged in favor of interdisciplinary work that accommodates a wider variety of student learning styles and backgrounds. Scientists and artists who make great leaps forward, often describe the process as intuitive flashes of insight grounded in hard work and analysis. Artists discover the science of creativity, and scientists experience the artistry of problem solving. Design Engineering is Hopkin’s first multidisciplinary exploration of the unique relationship between science, art and design. This course is collaboratively taught by the Art and Science departments, and challenges the misconception that these are disciplines that represent opposite cognitive skill sets. In this course, we examine the space where art and science overlap, and although the synergistic relationship between science and art is constantly evolving, they are both grounded in the notion that abstraction is essential to create an investigative mindset, and demand coordination between head and hand to transform theory into something tangible. In Design Engineering students use principles of science and draw inspiration from design; they create projects that allow them to confidently navigate the vastness of an empty canvas and conceptualize the depths of a hypothesis. Students engineer ‘by feel’, and create by leveraging empirical data and formulaic constructs. A great example of a class project is one titled Fluid Dynamics and the Art of Streamlining, or How to Design and Build the Perfect Automobile. The correlation between fluid dynamics (aerodynamics, more specifically) and beauty creates a space that has been at the core of automobile design for over a century. The technical term for making a car more aerodynamic is called “streamlining” and is a critical component in improving performance and reducing fossil fuel consumption. Streamlining is also a sculpting force in the creation of the ‘lines’ of a car, the defining characteristics that catch the eye and capture the imagination. 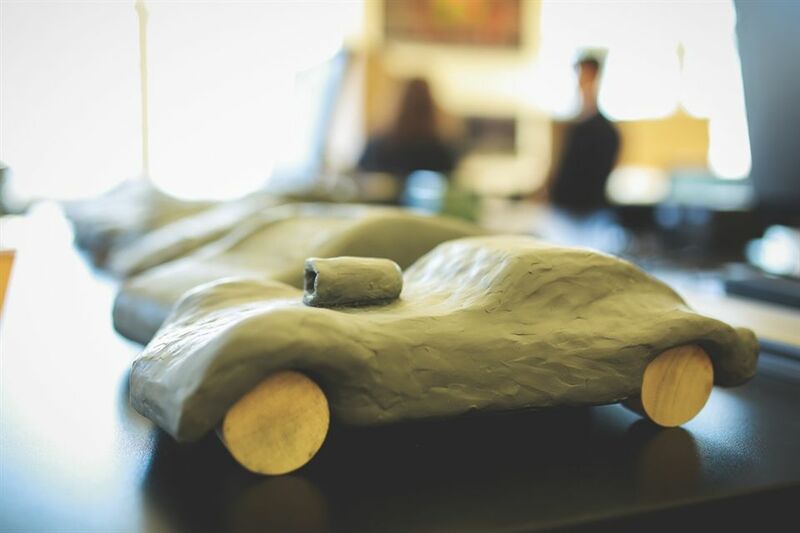 For one of its projects, Design Engineering looks at the history and physics of car design, and then challenges students to design and create their own scale model clay car that articulates their vision of beauty, recognizes the science of streamlining, and is ultimately wind tunnel tested for performance. In a project scheduled for 2018-2019 curriculum, we will create full scale footbridges following an examination of structural engineering and the design of the built environment. We will ask the age-old questions--does form follow function, or does function follow form? In the design and engineering of some of the world’s greatest structures, form and function are inextricably linked in a symbiotic relationship that serves as the muse for creative problem solving and inspiration. Load paths and structural members, determined through the calculation of gravity and lateral loads, become defining architectural gestures and generators of form in buildings such as the CCTV in Beijing and the Hancock Building in Chicago; structures such as Roman aqueducts and the Great Pyramids; and bridges by Maillart and Calatrava. In this course, students spend equal time in the laboratory, studio and seminar room, working both collaboratively and individually, discussing, hypothesizing, constructing and deconstructing. 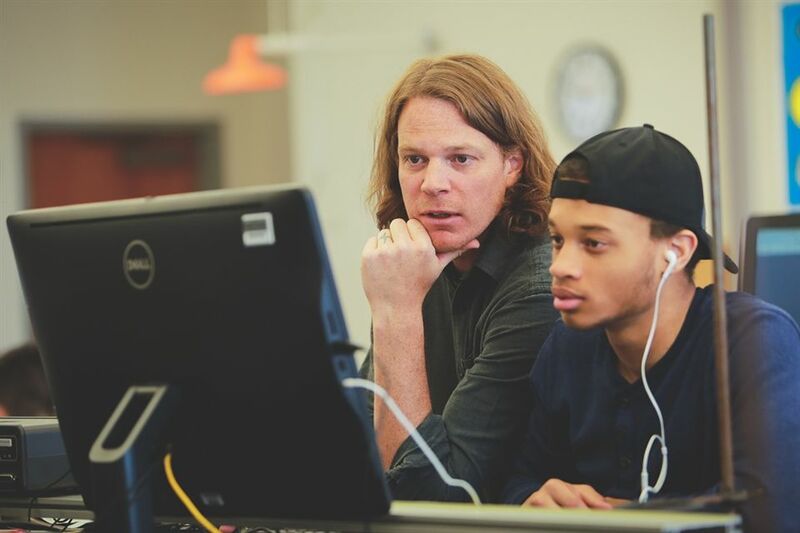 Often referred to as a “maker-space classroom”, the boundaries between traditional work spaces blur and the distinction between working alone and in a group gives way to a new collaborative balance; students are challenged to be nimbly reactive, bravely proactive, cerebral and physical, logical and whimsical. STEAM (science, technology, engineering, art and math) courses are the tip of the cross-disciplinary iceberg. Every day I speak with teachers in different academic fields brainstorming new ways to better deliver curriculum and further challenge students to take responsibility for their own learning. I am excited about this kind of collaboration and look forward to working with my colleagues to make our curriculum increasingly engaging, diverse and above all innovative. I find that I think a lot about what it means to be a teacher. I am constantly reimagining how to best nurture curiosity, facilitate creativity and critical thinking, and generate an energized classroom. One of my favorite things about teaching is collaborating with students in the learning process itself - by modeling the joy of being curious, leveraging existing skill sets and bases of knowledge and interest, and teaching how to connect cognition, hard work, and the power of intuitive leaps of understanding. It is those ‘aha’ moments where it all comes together, and connections are made, that push students (and me) forward and engender confidence in our ability to innovate and create. When art meets science you get Hopkins' Design Engineering Course. 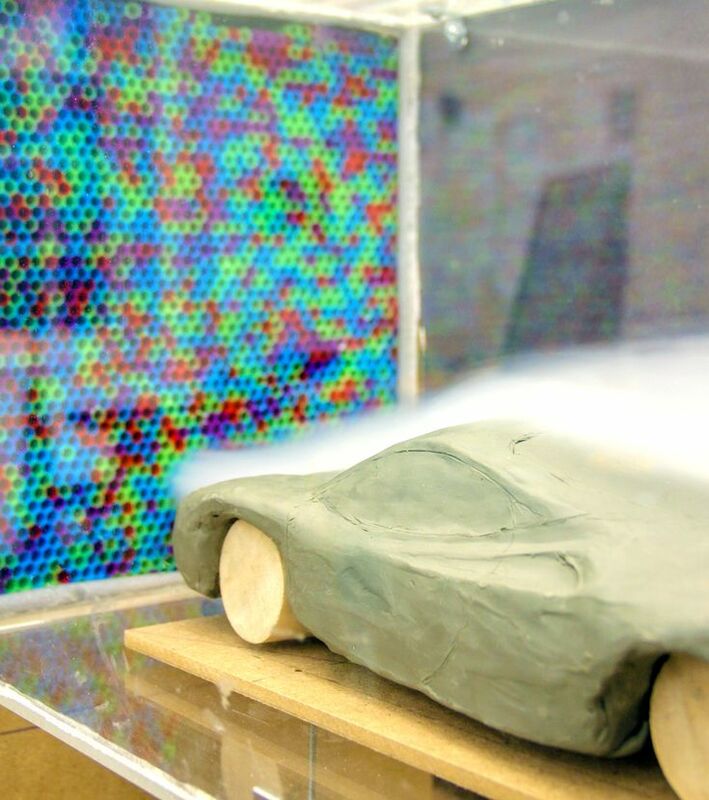 Students fashion roadsters out of clay and test the aerodynamics in a wind-simulation machine, designed by Lynn Connelly (pictured in 2nd photo), Physics teach and course co-teacher with Derek Byron (pictured in 3rd photo on right).